Donald Trump Jr. didn’t pass up the opportunity to take a swing at Democrats on Wednesday. The president’s son called out Democratic congresswoman on Twitter for not sporting American flag pins on their jackets at the State of the Union. Trump Jr. shared a meme calling into question the patriotism of the group of Democratic congresswomen. The women were all pictured in their white attire, a gesture of solidarity and appreciation for the original suffragette movement. However, Trump Jr.’s criticisms were quickly muted when another Twitter user quickly shared a photo of “team Trump” at the same State of the Union. The photo, taken by Eric, Trump Jr.’s brother, showed the Trump family and their partners attending the president’s speech, without a single American flag pin in sight, Newsweek reported. 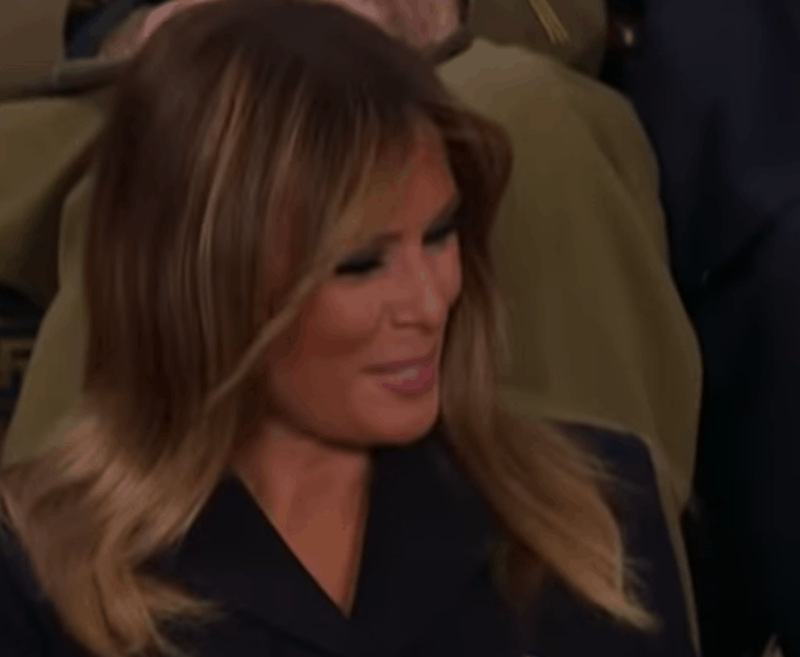 Additionally, as you can see below, First Lady Melania Trump also did not wear a flag pin to the address. Once Trump Jr.’s hypocrisy had been exposed, it quickly became a free-for-all online, with Twitter users reveling in the president’s son’s folly. One user wrote, “Trumps prefer Russian flags,” in reference to Robert Mueller’s ongoing investigation into Russian collusion. In the president’s State of the Union speech, he singled out the congresswomen in attendance, commenting on the record number of women elected to Congress in the 2018 midterms.